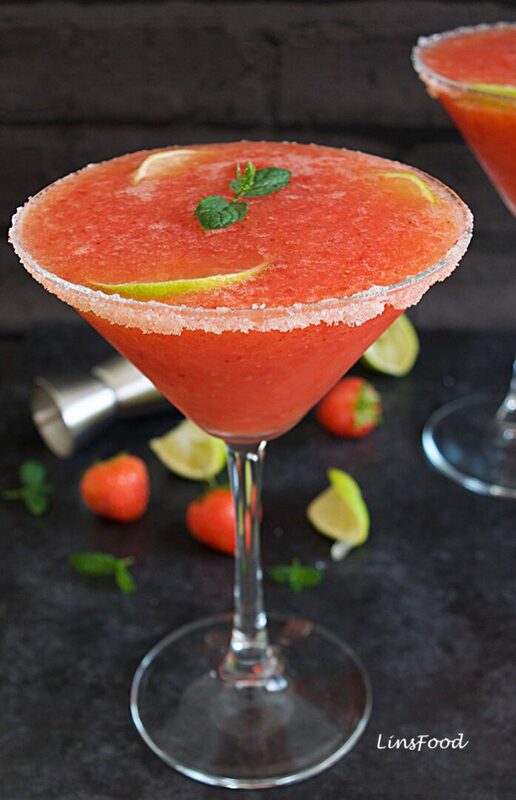 Click here to go straight to the Strawberry Margarita Recipe. First published May 2014. Updated Aug 2017. 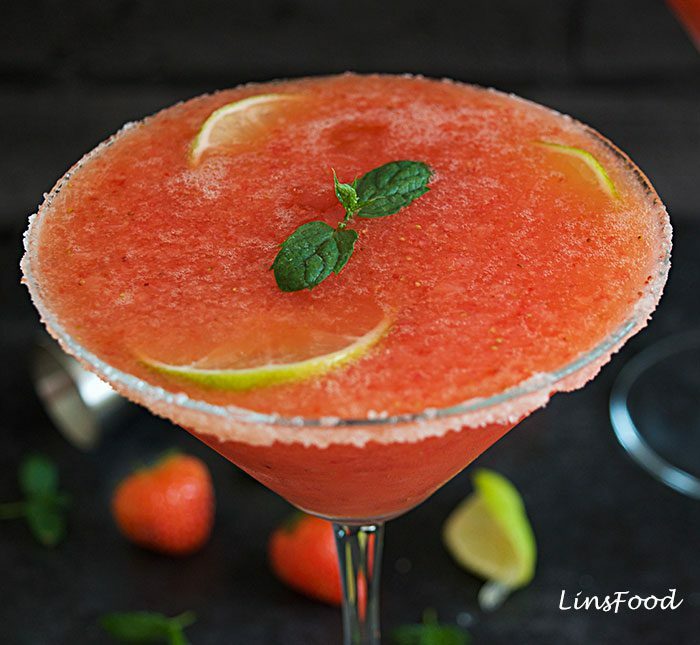 Strawberry Margarita is one of my favourite summer drinks, straight up or frozen! Nothing says summer like the fresh, red and sweet strawberries that fill up the shops and the farmer’s markets. We do occasionally grow our own too but there’s never enough to make something with. So my kids and I love going to these pick-your-own farms, and always come back with punnet after punnet of various fruit and vegetables! I make the strawberry margarita in exactly the same way I make my regular margarita, just with some added strawberries, pureed and the same ratio as the tequila. You can, however, adjust the amount of strawberries used; use more for a stronger strawberry flavour. And you shouldn’t need any sugar syrup, as the strawberries will play that part. There’s always a huge debate over this, go with what you fancy. Personally, I love the contrast of the salt rim against the sweetness of the strawberries! 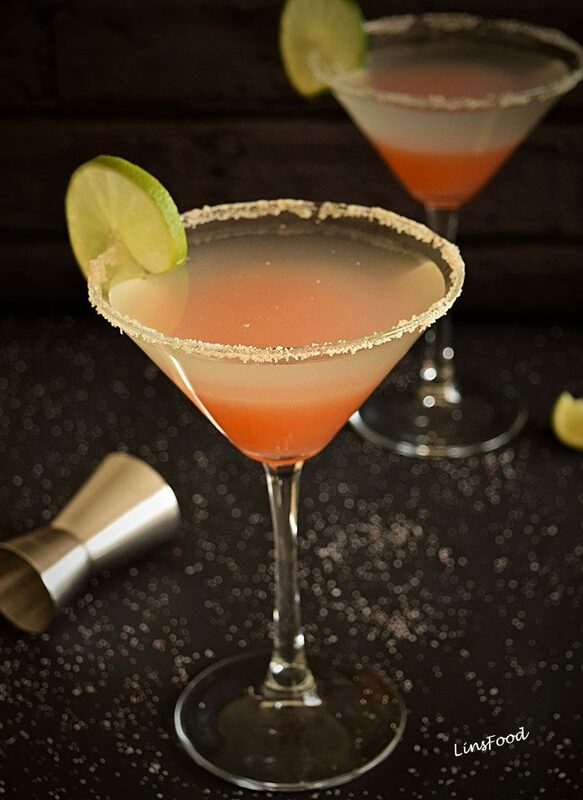 And before we go on to the recipe, you might also be interested in my Rhubarb Margarita with Ginger Salt Rim (and yes, I do need different margarita glasses!). OMG, the 2 pictures look exactly the same, don’t they? I obviously liked the look! A cocktail shaker would be great, if not, just stir it all up well (for the non frozen). For the frozen version, you'll need a blender. Run a lime slice all around the rim of your glass. Dip the glass rim into the salt. Add the required amounts of tequila, cointreau, lime juice and strawberry puree into your shaker with about half a dozen ice cubes. Shake it all up really well. Pour the margarita, minus the ice cubes, into your prepared glass, stick a strawberry on and sip away! Place all ingredients, including ice cubes, in blender and zap away until you have a smooth mixture. Pour into glass, stick a strawberry and sip away! A little straw will go nicely for frozen margaritas! Nutritional information does not include the salt rim. Definitely a favourite of mine, bookmarked! Oh yeah, definitely one for the ladies! Cheers! Cool, the wife’s going to love this for her girlie nights. Awesome, I hope they love it!